A Yacht designed to make the everyday extraordinary. "PRESTIGE LADY" is a custom built yacht from Westship World Yachts in Tampa, Florida. Designed by Evan Marshall and launched with a Lloyds ABS classification, this magnificent 110 Raised Pilothouse Yacht displays a performance and sea kindliness well beyond her Projected Expectations. 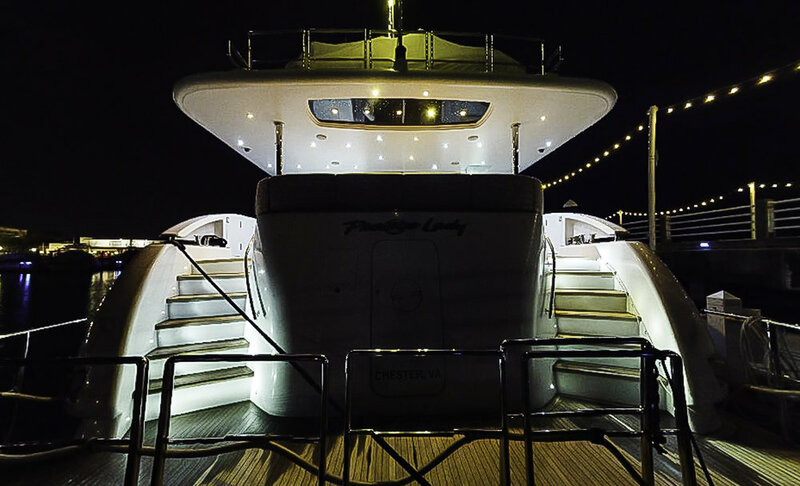 Heavier than her comparable production vessels, "PRESTIGE LADY" is "the most Comfortable Vessel in her Class". Her massive beam (which is 1' 6" wider than the 112' Westport) allows for easy walk around decks with no sacrifice to her interior space. Beautifully decorated with custom craftsmanship throughout, the selection of hardwoods and fabrics is something that must be "seen to be appreciated". The Owners Suite is full width with his and hers head, festooned with imported stone, premium fixtures and appointments. 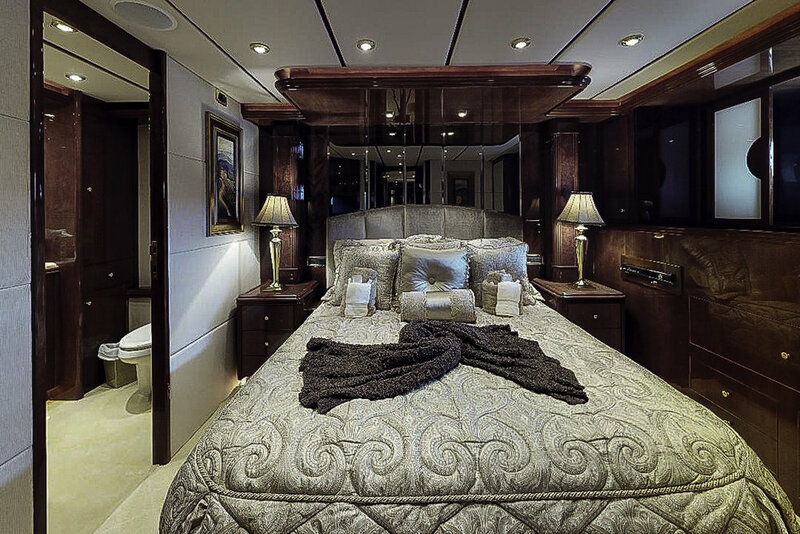 Spacious and elegant accommodations for guests are forward with three more staterooms each with ensuite heads. Crew quarters are forward and down from the country kitchen style galley that includes an inviting circular dining table in the forward port corner. Additional formal dining is in the forward part of the salon under its own circular soffit ceiling and sitting on a circular stone inlay floor. The engineering spaces are huge and well lit. The wider beam makes for easy access to all sides of the main engines. A utility room is located at the entrance to the main engine room and is large enough for routine maintenance, repairs and offers plenty of storage for parts and deck gear. The fly bridge is enormous and wide open. 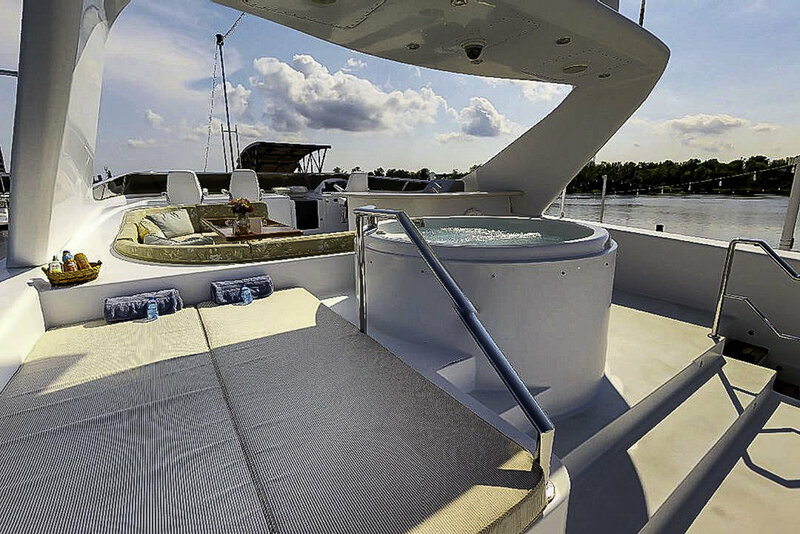 All the usual features of a vessel of this size and style PLUS, U-shaped bar with grill, full Jacuzzi, sunning area and comfortable custom seating for twelve people. "PRESTIGE LADY" is a vessel to be seen by those that are ready to make that Upward Change from production yachts. Her one (and only owner) has "thoroughly enjoyed her both At Sea and In Port". The vessel is immediately "Ready to Cruise" and standing by for your inspection. This custom built yacht from Westship Yachts LLC. features accommodations for eight owner/guests in four staterooms + crew of four. 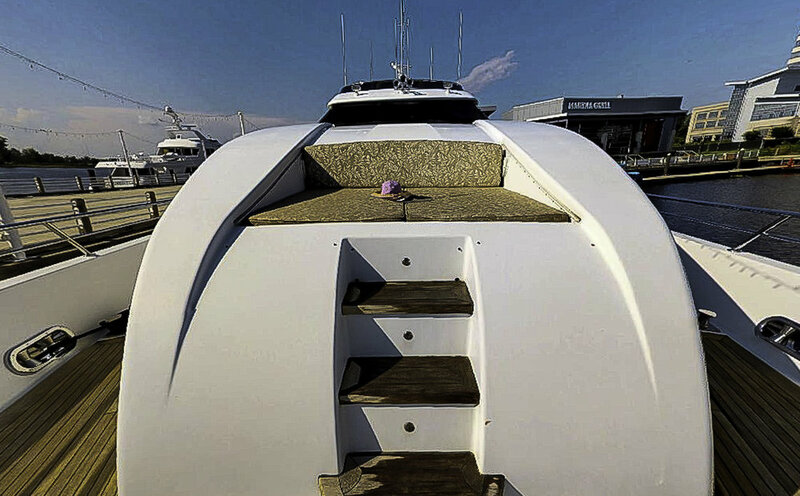 This custom yacht offers the styling and workmanship of a custom build with the combined expertise of a name brand manufacturer. Actually launched in 2007, this Westship was built to higher standards from the beginning and had surveyor supervision throughout the process. Starting with the naval architectural custom design of Giuseppe and Giovanni Arrabito and the interior design by Evan K. Marshall. The finished layout reflected the specific requirements requested by her one and only one owner. From the formal salon that utilizes every inch of her nearly 26' beam, to casual dining options in the country kitchen, PRESTIGE LADY offers the room, visibility, and comforts that are exceptional for extended periods of time on board. This one of a kind, beautifully crafted custom built yacht which was built by its original owner is seeking a new owner and family to share many more memorable years to come on the open seas and waterways. · 17 ½’ Rendova rib/w 90 HP Yamaha approx. 70 hrs. · Marquip 1800 lb. crane built into railing system. · Engines: MTU 16V 2000 Series approx. 1600 hrs. · Gensets: (2) Onan 55 kW Platinum Series approx. 2000 hrs.